Today is the celebration of the life of one Dr. Martin Luther King, Jr, and all his contributions to our US and world societies with his fights against injustice, racism, bigotry, and civil rights all the while showing we can all live together with love and harmony if we just get out of our own way, don't feed into hate and ignorance, and try to be as educated and understanding as possible. Chatropolis has been restored! The emergency maintenance did not go as well as hoped. It took about 2 different trips to the data center plus numerous communications over a 6 hour period to get the networking portion functional after the IP address changes. However, the rest of the time until almost 1am was more down time as the temporary data store services did not like the change, do not like change in general, and the only way to get the rooms going again was to purge all the old data in the temporary stores. By doing that, you may notice some of your profiles are blank on login and I'm truly sorry about that but the way it works is not very user-friendly for backing up and restoration. The rooms are good to go again and I'm sorry for messing up your personal Chatro time this Sunday. I received word recently that in the infinite wisdom of my datacenter host provider, they have decided to reallocate their IP ranges for a new datacenter build that they are starting soon. 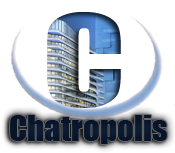 In that process, a pool of IP addresses including Chatropolis chat servers are being reallocated for their use. They have assigned me a new set of IP addresses easy enough but that means I have to go in and manually change the IP infrastructure of Chatro in accordance. What that means to you is that on Sunday, the chat and database servers will be taken offline as I make the IP changes, software changes, and DNS changes. The updates should be instant, but there are a lot of little bits and pieces that I have to take into account which could take some time. DNS updates on some ISPs or VPNs may take the longest to propogate. This is a fair warning. I plan to start the updates around about 1pm and hope to be done by 3pm. I'm sorry for this and believe me I don't want to have to make changes but I really don't have a choice. I'll get things up and going quick as I can. The UG will not be affected. Have a Happy New Year everyone!! Thank you, Chatro community, for making this 2018 a stupendous year and let's forge forward for a wonderful 2019. Celeberate, enjoy the new year, be safe out there, and see you all on the other side of 2019 being all chatty and stuff! Have a read of this article which is very pertinent to a great many chatters at my site. For those that are affected, I hope you have a plan B. Not that this is really news, but as I'm sure most all of you reading this know, there is a rogue spam bot on the loose. It enters, post some asinine message with a URL or link to click on, then leaves. It rinses and repeats in several rooms all throughout the day and night. I am aware of it. I am working on taking care of this permenantly. In the mean time, beware of that link or any website where anyone is trying to direct you to another site in any Chatropolis room. If you really feel the need to open a URL or click on a link to some random, spam bot generated, not approved by Chatropolis, website from a spam bot with some sketchy, ridiculously simplistic, and non-clever name then you really should get your priorities and your computer checked because eventually you're going to need it for both. Again, I'm working toward a more permanent solution so you would be wise to avoid and enjoy the rest of Chatropolis. Thank you for reading! I bet a lot of you have gotten this particular error. This is a simple error with a simple fix. Your chatting in any room is started by a chat session that is created and a session cookie is created for this chat session. However, some times when disconnected abruptly, or upon leaving and reentering too quickly (before the chat session has a chance to end), or just a chat session that gets hung up. The easiest fix for this is merely deleting your cookies. Deleting that chat session cookie will force the server to request the browser to create and store another cookie for that new session. I get this at the Help Desk quite a bit and you all really do need to know what's up with that so you can quickly get back to chatting again. Did you know as a member you can reserve URLs the same way you can your screen name? Yes you can. You can reserve up to 5 URLs at any one time. Why would I add this feature? Well we all know of impers that snag your favorite avatar URL and make them their own as they impersonate you. Well that comes to an end. You reserve your favorite URLs and that can't happen. I figure 5 URLs for starters "should" be enough as the life cycle of avatars tend to be short before "on to the next one" but I'll consider upping that limit to accommodate if necessary.